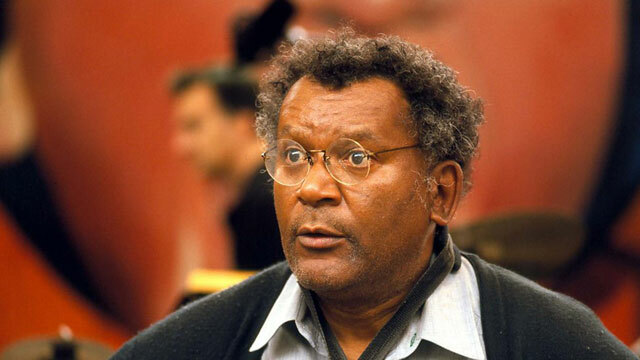 There is never a time when Anthony Braxton does not blow fresh air into his dynamic and diagrammatic compositions; never is there a time when the kinetic energy is not palpable no matter which direction the music goes. This classic concert (which one isn’t?!) from Santa Cruz, in 1993 is no exception. Fortuitously re-released on the modern music-loving Swiss label hatHUT, the record is, to aficionados of Mr. Braxton’s music and music’s cognoscenti in general, a collector’s item. 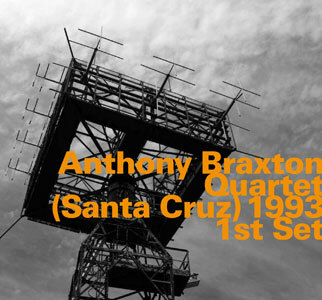 The Quartet (they must be capitalised and written about using the definite article) is resoundingly provocative, raising eyebrows back at Anthony Braxton HQ. The direction of Mr. Braxton’s music is detailed in geometric architecture; musical constructions that follow a complex and interesting path designed by their composer. There are six exquisite Compositions on this the first set of the concert in California. The music contained therein is complex, three dimensional and often enters the realm of the fourth, spectral one. Actually it’s more like darting in and out of that dimension. Notations for this are well-directed, by Mr. Braxton, who commands his quartet as a pilot for a space shuttle would: doing what is de rigeur to move the music (ship) forward and ever-onward. As a result you want to dance to the angular melodies to accompany them as sing. This Quartet was, what Mr. Braxton referred to as “the vehicle for Multi-Structural Logics, the integration of any and all of his compositions, regardless of their originally designated instrumentation, into a Quartet performance”. This perception is borne out by the fact that expressive moods and direction are always maintained; even repetitions must be varied by editing unnecessary notes out, or jumping between octaves or varying the instrumentation. A tall ask indeed, but not for this Quartet. Marilyn Crispell, Mark Dresser and Gerry Hemingway purée down melodies to a single note, but verboten is adding material as cosmetic decoration or philosophical critique. Composition 159+ (30+108a) derives from a similar mindset to earlier diagrammatic works such as Composition 6 (O) played in 1972 with Dave Holland and Philip Watson where the modus operandi allowed performers to respond intuitively to text and mathematical notation (in the latter). Moreover, as is evidenced at this concert recording, the distinction between “intuitive music” and improvisation, Mr. Braxton seems to suggest—as Stockhausen once suggested—was that the word “improvisation” locked musicians inside predetermined styles and rules. Intuitive music, on the other hand, implied the opposite, clearing the mind before playing, letting the sounds be. Which is a problematic argument; but the Compositions on this record operate differently from improvised music in one fundamental way—a fully formed compositional object stripped down to its essence. Improvisation shapes form out of nothing. I made it out of mouthfuls of air, Ezra Pound once said of his poetry. So also might Anthony Braxton say about his music, perhaps? So enter the Reedmeister, the composer-in-chief Mr. Braxton, who asserts musically that some kind of counterpoint had to be set up so that the music would not bog itself down in the course of glimmering ostinatos, broad glissandos and vaunted arpeggios. His answer: Intuition that needed to be free and independent; that is inserted in the performance every two or three sections. This makes for a major revelation in the music. I have always admired this music finding its smells and bells utterly charming. And so while Anthony Braxton blows air through the structures and the other musicians remain respectful to the spirit, if not the word, Mr. Braxton’s original intent can be realised. Thus The Quartet, here, at any rate brings this remarkable music to life.